We participate in a number of federal and state programs to assist our students with meeting their educational expenses while attending Fayetteville State University. In order to be considered for any federal & state aid, you must complete a Free Application for Federal Student Aid (FAFSA). To submit a FAFSA application, go to fafsa.ed.gov. The Pell Grant Program provides federal grant funds for needy students who have not completed a first bachelor's degree. At Fayetteville State University, these grants range from $650 - $6,095 for the 2018-2019 academic year. The Federal Supplemental Educational Opportunity Grant (FSEOG) is a grant that is awarded to the neediest students at Fayetteville State University. It is awarded to undergraduate students and does not need to be repaid. The grant ranges from $200 to $4000. 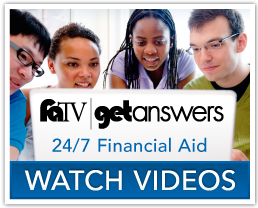 This federally funded employment program is administered by the Office of Scholarships & Financial Aid and provides part-time jobs on the Fayetteville State University campus for students who have financial eligibility as demonstrated on the FAFSA application. Students normally work eight to ten hours per week in a University facility. Wages paid are at least at the minimum wage rate and are used to assist the student in meeting educational expenses. The North Carolina Education Lottery Scholarship/Grant provides financial assistance to needy North Carolina residents in an undergraduate degree program, enrolled in at least six credit hours. NCELS grant ranges from $50-$3,000. Eligibility is determined by the North Carolina State Education Assistance Authority. The University of North Carolina Grants are available for eligible students attending one of the 16 constituent institutions of The University of North Carolina who are enrolled in at least six credit hours. UNCIG grant ranges from $100 - $4,200. Eligibility is determined by the North Carolina State Education Assistance Authority.